View our wedding couples above and contact us to donate a payment towards their chosen honeymoon. Getting married abroad can provide you with the perfect location in which to enjoy your special day, whether it be a Church ceremony or civil wedding. As Holiday Lounge are experts in organising weddings we provide advice on where to go, what special wedding packages are available, as well as helping with taking care of all the legal documents and special arrangements to make it as stress free as possible. Holiday Lounge can also assist you in choosing the right destination for your Honeymoon or a venue where you can renew your vows. We offer a Honeymoon Gift Scheme so instead of buying a wedding present, your family and friends can help pay towards the cost of your honeymoon. 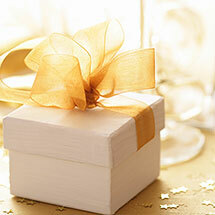 Vow renewals are growing in popularity and is an ideal way of celebrating a special anniversary. There is very little paperwork required with no requirement for documentation to be legalised or translated couples just need to turn up with their marriage certificate for the renewal ceremony to take place. Looking for the perfect honeymoon? Choose from intimate and romantic resorts, adventure safaris, an elegant cruise or a European city break, there is a honeymoon to suit you. Many hotels offer complimentary honeymoon offers, including room upgrades, candlelit dinners and spa treatments, our experienced travel consultants can tailor-make your perfect honeymoon requirements. One of the most popular destinations for weddings in Europe, the resort of Paphos boasts a fantastic range of 5 Star accommodation such as the popular Constantinou Bros properties, the Athena Beach and the Asimina Suites where your ceremony can be held in the Wedding Gazebo in the hotel’s beautiful grounds right next to the sparkling Mediterranean. Our staff have numerous contacts in the resort of Paphos and can advise on the best venues for the Wedding Breakfast. Known for its exceptional service and accommodation, Mauritius is one of the most beautiful islands in the world with its white sand beaches, sugar cane fields and lush mountains rising up out of the crystal clear Indian Ocean.